Let’s get one thing straight right off the bat: I am far from perfect at praying the Rosary daily. I put my worldly obligations and my messy kitchen and Instagram before the Rosary again and again and again…But our Mama is patient with me, and I’m getting better. I have gotten better. 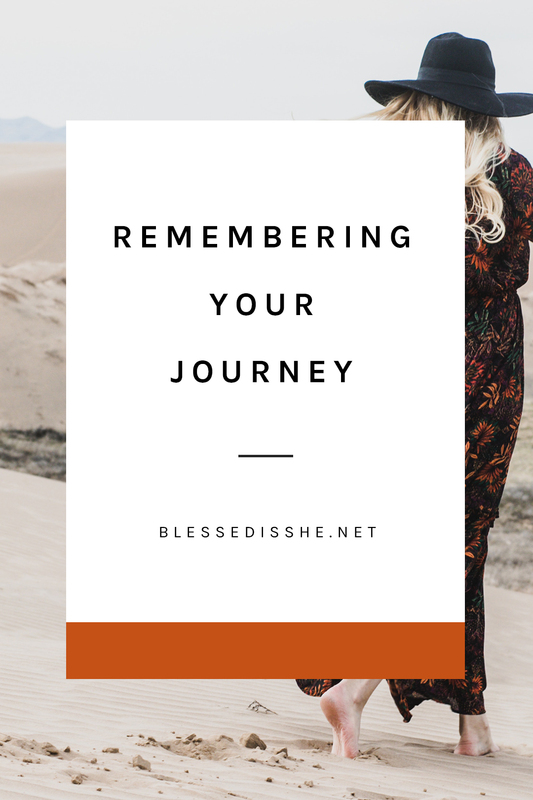 One simple little trick has made the days I do pray the Rosary outweigh the days I don’t, and that’s the reason I’m writing this post. 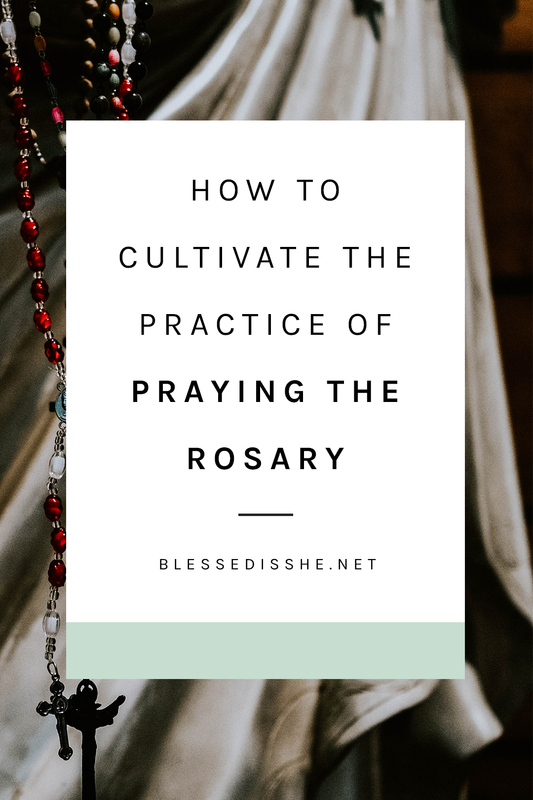 Not because I am perfect at it, but because the success of implementing this one thing made me wonder: how do other Catholic women make praying the Rosary a daily habit? Why Should We Pray a Daily Rosary? But first, why pray the rosary in the first place, let alone daily? We are so busy, doing very good things. In some seasons of life, setting aside 15-20 minutes for contemplative prayer truly feels next to impossible. Sisters, the reasons we are called to pray the rosary daily could fill an entire book, so I’ll keep it simple. It’s because Our Blessed Mother asks us to. In each one of her apparitions that have been approved by the Vatican, she has implored the world to pray the Rosary. Whosoever shall recite the Rosary devoutly, applying himself to the consideration of its Sacred Mysteries, shall never be conquered by misfortune. God will not chastise him in His justice, he shall not perish by an unprovided death; if he be just he shall remain in the grace of God, and become worthy of Eternal Life. What promises for a time such as this! If you have never tried to pray the Rosary daily, there is no better day to start than today. Yes, today. 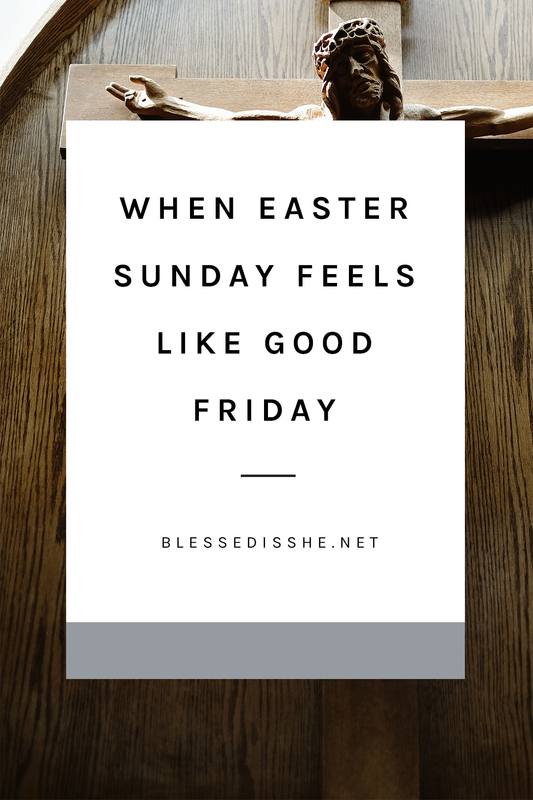 You don’t need to have the perfect plan, the perfect time slot, or even the perfect Rosary (though if you don’t have one, you can find a beautiful one that was custom-made for the Blessed is She community here). I encourage you to ask for Mary’s special graces to make it happen during this month, in which we honor Mary as Our Lady of the Rosary, especially. I asked Catholic women on Instagram how they make praying the Rosary a daily habit. 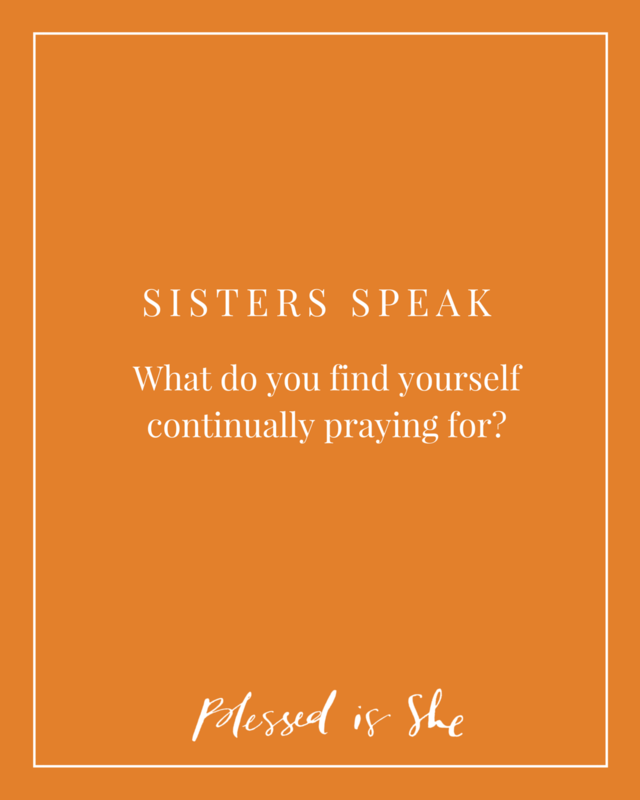 I found myself so inspired by the different ways our sisters prioritize this prayer in the midst of their busy lives. 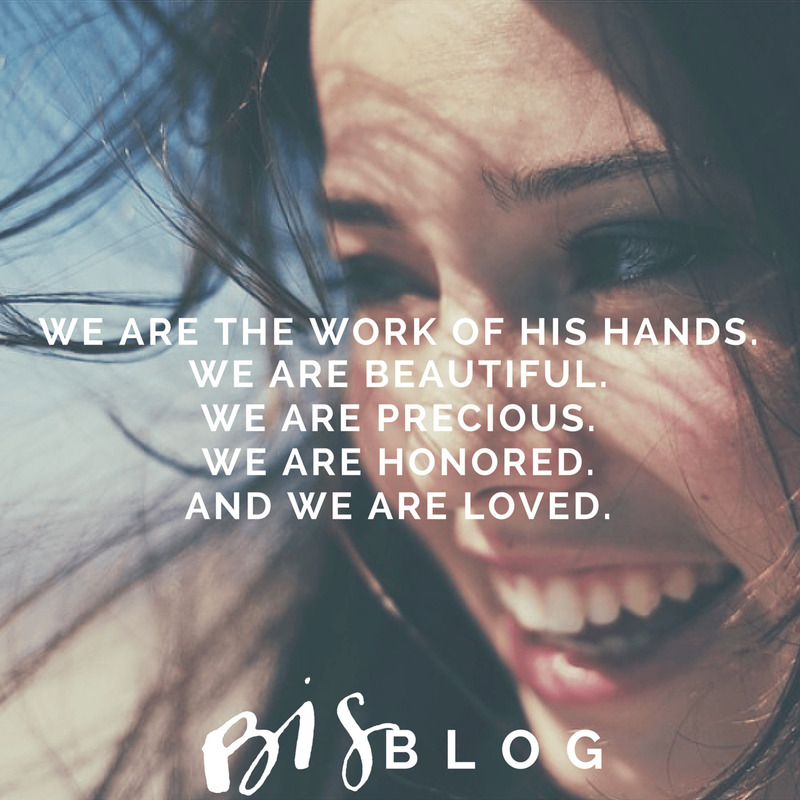 How encouraging is it to know that we are all in this together, drawing closer to Our Lord through His Blessed Mother and interceding for these promises, from armor against hell to a flourishing of good works?! 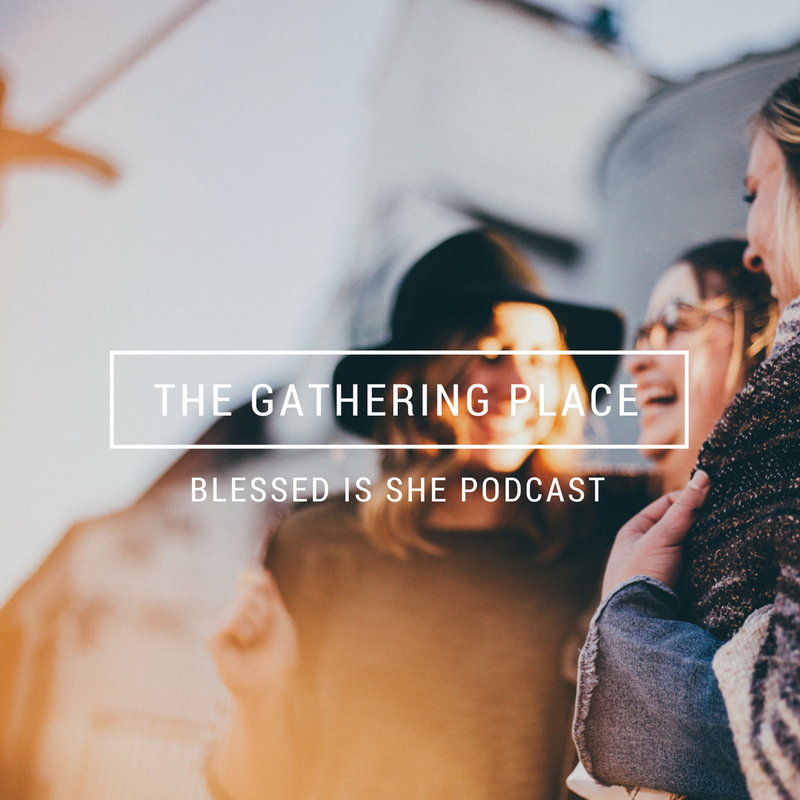 Before we dive into their wisdom, I’d love to share that simple trick that has worked for me: downloading a Rosary podcast (I use A Rosary Companion and like the Spoken + Ambient Music versions. But there are many options out there!). I’m in and out of the car often throughout the day and love listening to podcasts, which is why I think this has worked for me. I always queue up the Rosary when I get into the car, before listening to anything else. I’m a rule-follower to a fault, and making this particular rule has been so fruitful! Here are some more amazing tips and tricks for building the Rosary into your day. “When we say the rosary, I like to imagine that we are safe inside the ‘New Ark’ (a title that was given to Our Lady since the earliest days of the Church), just like Noah and his family were safe and preserved from the floods by entering into the Ark. 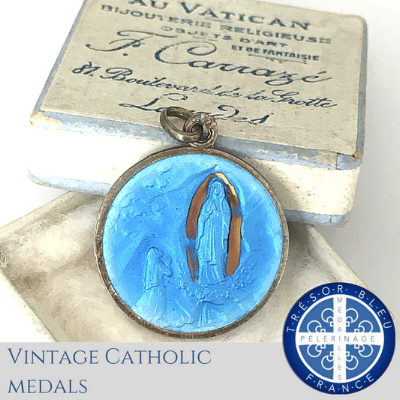 She has told us throughout all her apparitions about the importance of the Rosary and the graces we will receive to persevere through hard times. We have five kids (one in utero) of all different ages and attention spans. For many years, our nightly routine has been to say between 1-2 decades of the Rosary. It was only recently that our older kids suggested that instead of switching the mysteries each day, we commit to one mystery per week. 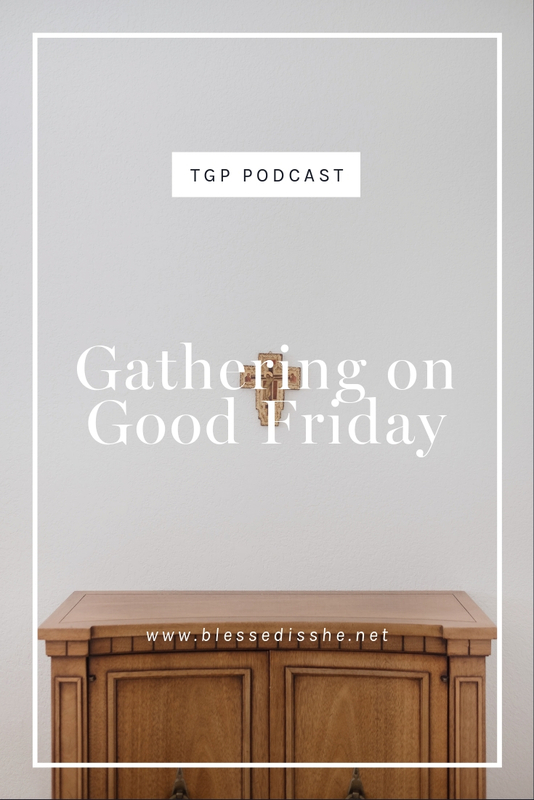 This week, we have been saying the Sorrowful Mysteries, and next week will be the Glorious. It’s not perfect, but we have faith that it pleases Our Lady because we are trying our best.” – Kelli S.
“My husband and I do the first four decades on our own throughout the day, and then do the fifth decade together when we are both home. We think the reason this works is two-fold—it feels more manageable to pray a decade or so at a time, and we get to pray together!” – Lia M.
“As a person currently in the process of converting to Catholicism, praying the Rosary daily is helping to form the bedrock of my life as a Catholic woman, wife, and mother. I pray two decades in the morning while nursing my son, two more decades at various points throughout the day (usually while nursing), and one more decade before bed. 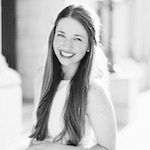 I keep engaged by doing scriptural meditations with each prayer—this has done WONDERS for helping me stay focused on the beauty of the Rosary, instead of letting it feel dull or repetitive.” – Courtney W.
“I never really prayed the Rosary but I started doing a study by Take Up and Read called Ponder, which is all about the Rosary. It has helped me to meditate on the mysteries and create a daily habit. I started doing just one decade at a time and am working my way up to praying a full Rosary daily!” – Macy M.
“A group of friends and I got together and decided to pray the 54-day Rosary Novena. We set up a group message and texted each other every day, reminding and encouraging each other to pray. 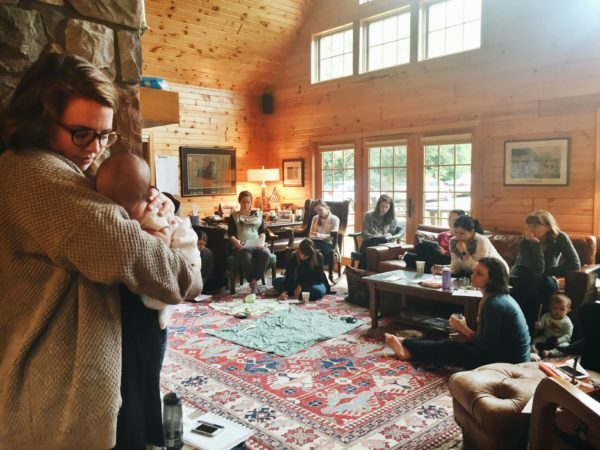 It was so powerful that we started a new novena two days after finishing the first!” – Meagan R.
“Find someone who can hold you accountable. For me, it is my husband. Each morning, when we plan our day, we carve out a specific time to pray the Rosary, whether that be individually or together. If our days have been busy and we have failed, we try to give the other person 15 minutes at the end of the day “duty-free” (no kids, housework, etc.) when we can be alone in prayer. 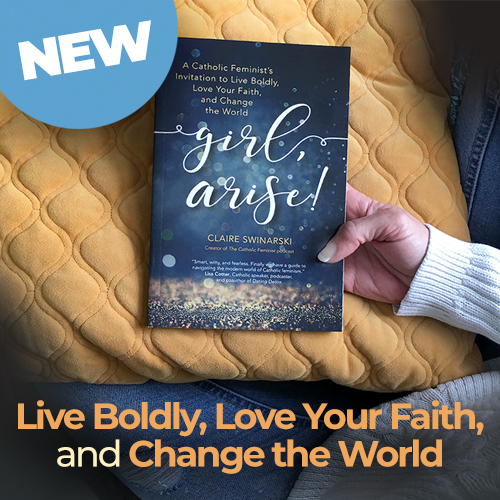 Find your person—whether that be your sister, friend, mom, or husband—and just start.” – Carrie G.
“I joined a virtual Rosary community with @onehailmaryatatime. Following her helps keep me inspired because she shares so many glory stories from people who have prayed the Rosary! Now, I lead a virtual Rosary group where we video call once a week and pray together. 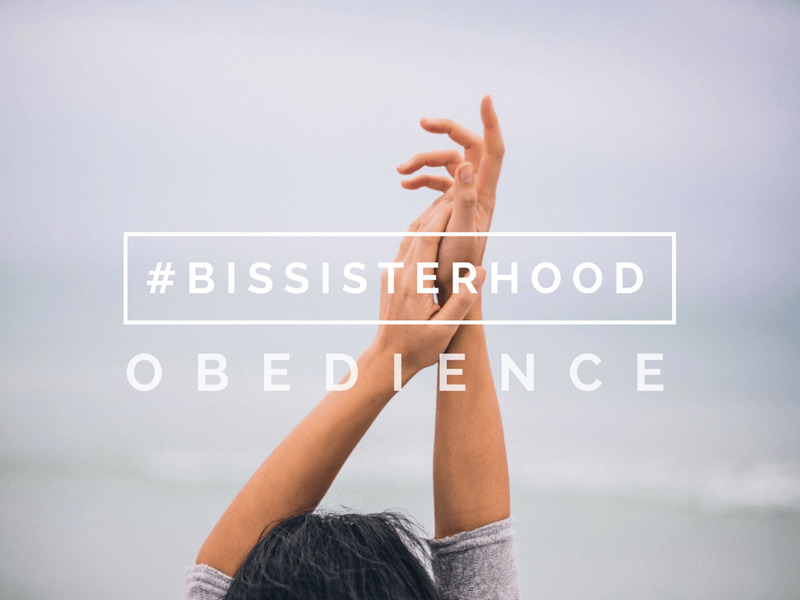 The group holds me accountable and I love praying with women who are all over the country, yet are so similar to me, every week!” – Melissa T.
“Exercise is part of my daily morning routine, and I found that using my Rosary bracelet during my exercise allowed me the opportunity to slow down mentally, calm my heart, and cultivate a stronger relationship with God.” – Katlyn Rose I. “I live in NYC and usually spend my subway commute on my phone. Lately, I’ve tried to shut off my phone during my commute (signal is terrible in the subway anyway!) and pray the Rosary instead. Turning an otherwise idle time into prayer time has made me feel very productive and more spiritually fulfilled.” – Vicky W.
“I have an hour-long commute to work, and every single day, as soon as I get into my car, I pull up the Risers Resided by Christen Peska on the Laudate app and get out my Rosary to pray along. The mystery traditionally recited that day is the one that plays, and each Rosary recitation is about 20 minutes long. I’ve been doing this for two straight years now—before that, I rarely prayed the rosary!” – Cynthia B. “Doing novenas for a reason bigger than myself has always helped me. For example, I did a 54-day Rosary Novena for my dad’s conversion…that was more than enough motivation to make myself pray a Rosary every day. I saw miracles happen. After that, I didn’t want to stop, so I did another 54-day novena for my future spouse. 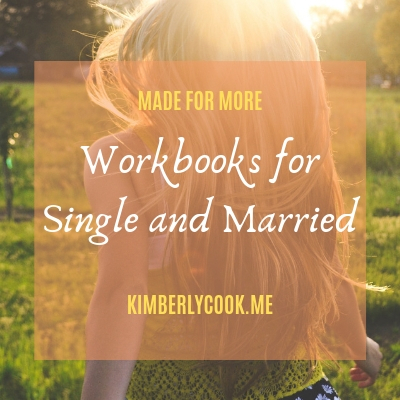 I met my husband a few months later.” – Melissa T.
“Some of the best advice I’ve heard is ‘Just keep praying.’ Sometimes, stuff comes up. Maybe your kid starts crying or someone from work calls or you have to clean up a mess, or any number of things that need your attention—whenever you can, just keep praying through it.” – Trishey N.
“Be okay with not always being perfect at it. Some days, you don’t want to, other days, you don’t have time…don’t allow those excuses to make you feel as though there’s no point. Your Mother loves you and meets you wherever you are. I love this quote from St. Bernadette: ‘In the evening, when you go to sleep, hold your beads. Doze off reciting them. Do like those babies who go to sleep mumbling ‘Mama, mama.’” – Carlin N.
How do you cultivate the habit of a daily Rosary? 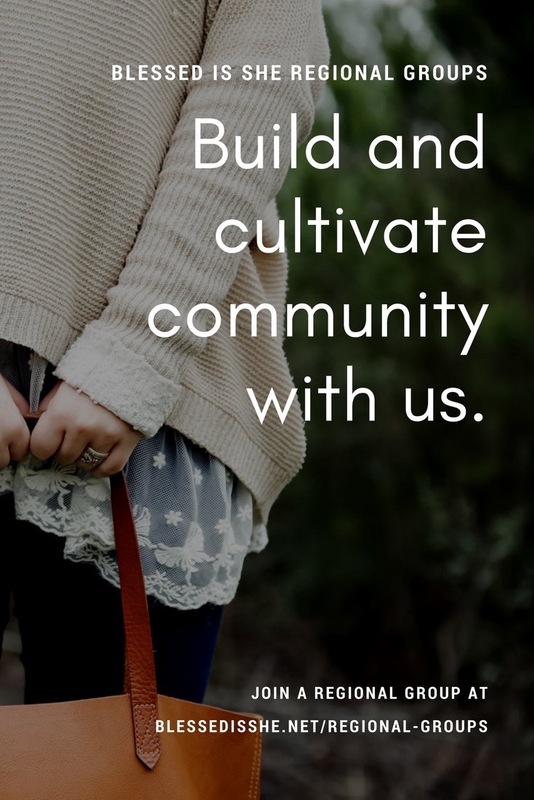 We’d love to hear your tips and learn from what has worked for you! What has helped my husband and me is following along with a YouTube video that also displays artwork to help meditate on the mysteries. We like “Kate & Mike Catholic Crusade”. What are others people like? I downloaded an app so I can listen while I meditate on it.